When I first decided to guide our family towards a more self-sufficient life, computers had yet to be a staple. I couldn’t just think if up then look it up all in the same minute. So, finding information on homesteading books took a bit of effort. One of my favorite places in the world was and still is the library. Needless to say, I have read my share of books on homesteading and even though computers and i-phones are everywhere today I am sure there are still those out there like me that love to get juicy tidbits from a good old book. Now, if you are new to homesteading, a seasoned pro or have yet to take that first step these books are my tried and true’s, that I love to revisit again and again. After taking them out from the library more times than I care to count, I finally realized it was time to own my own copies. As I am typing this now, those favorites sit on my bookshelf. The sign of a really good book is its condition. These books are hi-lighted and dog-eared. And every single one is included in this list. 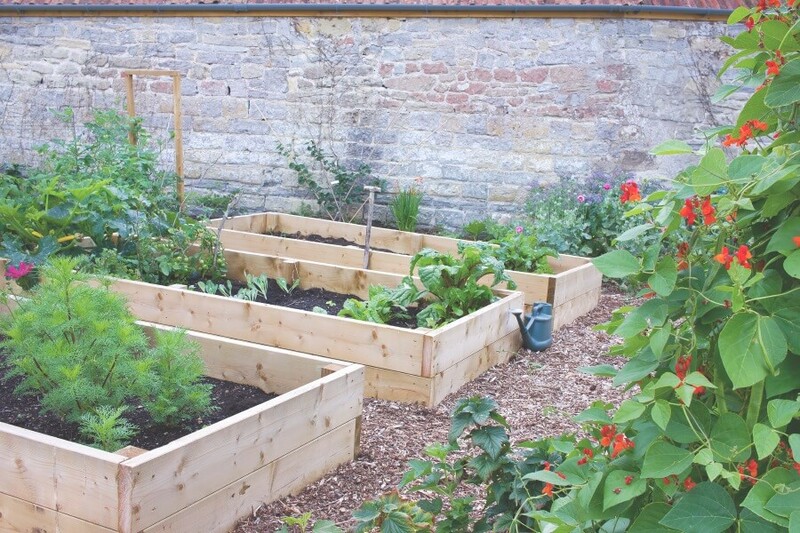 When most folks begin homesteading, a garden is usually the first step. Starting out on the right foot, in the beginning, can save you years of frustration and heartache. Lasagna Gardening by Patricia Lanza is the perfect go-to guide to soil health and healthy plant support through layering. A system that has been around for a while now that calls for no digging, tilling or weeding. I love this natural way to support the soil in my garden. Now, even though the book contains mainly hand-drawn pictures, it is done in a way that is clear concise. Patricia includes checklists (which I LOVE), tips and time-savers, and exactly what needs to be done to the soil for each vegetable, herb and even flowers. She covers each plant as to how it grows, the best place to plant, care, harvest and uses. She really does cover it all. If you have a garden the next step is learning how to preserve your bounty. Next on the list is the Complete Book of Home Preserving by Ball. This book is specifically on canning and covers everything from jams and jellies, relishes, and condiments to pickles and tomatoes. With over 400 pages of canning recipes, I do believe you will find it all in this book. The back of the book does touch on the why and the how of canning which is just enough to ensure your cans seal and last on your pantry shelf. My famous (well at least in my family it is!) salsa recipe started from this book and the tomato-stained pages are there to prove it. A great book I highly recommend. One of my favorite go-to books is the Backyard Homestead edited by Carleen Madigan. This book really does cover it all. You begin the book with nothing and by the end, you have a viable self-sufficient homestead. My favorite part is the sample layouts for 1/10th of an acre, 1/4 or 1/2. Seeing how the property is laid out in regards to garden, home and barn really give you an idea of how much you can do on the land you own now. This book also covers canning, gardening, butchering, and harvesting. At the end of the book is a pretty thorough overview of the different types of livestock you may want to consider raising. With just over 340 pages this baby is a great book that you really should check out. Especially if you are on the fence as to whether or not you should try your hand at homesteading. Next on my list is The Backyard Homestead. Guide to Raising Farm Animals. 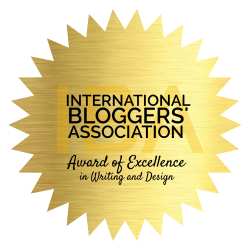 Edited by Gail Damerow. The sister book to the Backyard Homestead, this book is specifically geared towards farm animals. This 325 + paged book gives an awesome overview to any animal that can be raised on a homestead. This book goes over the basics touching on breeding, care, feeding, and housing. If you are unsure what you can or even want to raise this book will help make your decision a bit easier. If you raise (or plan to) sheep or goats this book simply must be in your home. Storey’s Barn Guide To Sheep is by far the best book for the birth care of both sheep and goats. There is a section in this book that is worth its weight in gold. Abnormal birth is a hand-drawn guide to different types of birthing that are not the norm. When I first started breeding goats I was not at all prepared for birthing issues. I was told by the vet if a kid should not present with nose and 2 hooves, then there was a problem and I would need to go in and “fix” things. This book shows you the different positions and just how to fix them. Actually seeing the positions in print really helped me to visualize what was going on in my goats. I cannot tell you enough how much this one book has helped me with breeding. You only have minutes to fix things and if a vet is not by your side, this book is the next best thing. When it comes to raising animals of any kind, nothing beats the Storey Guidebooks. Raising Dairy Goats by Jerry Belanger and Sara Thomson Bredesen is by far my favorite go-to goat guide. At 286 pages it is safe to say this book covers it all. From types of dairy goats, to feed mixing, housing and breeding. You can get help in every area of this book and it’s the first place I go if I have a goat related question or issue. Not a dairy goat raiser? No problem! Just search for Storey’s guide to ……and simply fill in the blank. They pretty much have a book on every animal out there. Book #7 Let’s talk chickens! It seems more and more folks are trying their hand had chickens and I could not be more thrilled! There is nothing I love more than fresh farm eggs and knowing there are people with chickens in the city is the just the coolest thing! If you are looking for a book that covers backyard and urban chickens this one is it. The Chicken Whisperer’s Guide To Keeping Chickens by Andy G. Schneider and Dr. Bridid McCrea, Ph.D. is my favorite chicken care book. The pictures alone had me sold and not something you find in most homesteading books. This book includes a pretty thorough list of chickens to raise. They include a picture (which is quite helpful), list its features and even tells you the personality which is so important if you live in the city or/and have children. They even go into parasite control and health issues where the pictures are not as lovely but still top quality. One of my favorite homesteading books is The Complete Homestead Planner by Cynthia Bombach. This month by month planner is perfect for the new homesteader. There is a lot that needs to be done on a homestead especially if you have animals and live in a 4 season area. Why worry about forgetting things that are important and need attention? Use this little book as your companion to make sure you get it all done. The book is broken down by month and covers gardens, harvesting, foraging, livestock, bees, pets, and even your household! At just 131 pages this quick read is full of helpful tips that I know you will love as much as I do. Book #9 Planning out the homestead. Okay, you are going to chuckle a bit when you see this next book, but hear me out. The “Have More” Plan by Ed and Carolyn Robinson is the perfect homesteading book for the new homesteader. This book is over 60 years old and one of my very favorite books to look through. This quaint book is a great overview to homesteading. The idea of a little land can equal a lot of living is what this book is all about and so relevant today. Please note that the use of pesticides may be mentioned and even suggested. But that was a different time back then and not the reason why I love this book. I just love the idea of a simpler time and using a book as a reference is a corny way makes me a part of that wonderful group. Book #10 Projects, projects, and more projects. 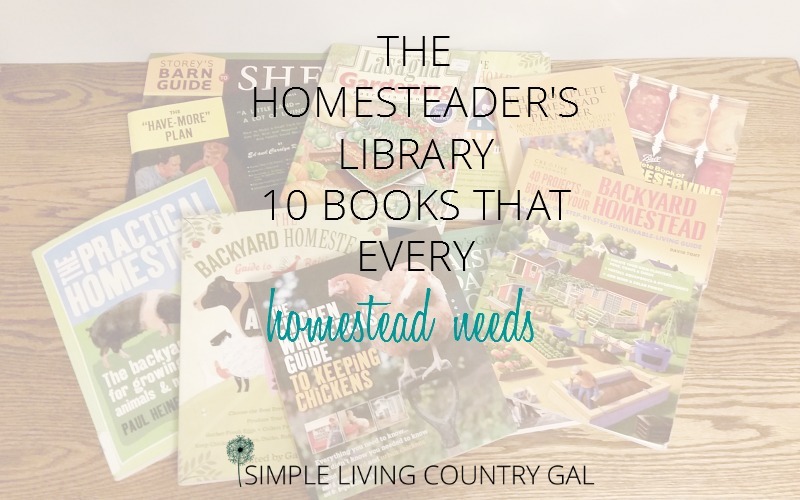 No homesteading list would be complete without a how-to book. 40 Projects for Building Your Backyard Homestead by David Toht is awesome! With step by step instructions and vivid how-to images, you will find a wide range of projects that you can use as is or easily adapt to your own situation. Even for me this book is laid out in an easy to follow way and has some pretty great ideas for any homesteader. When you have a homestead a home library can be the most valuable source. Holding in your hands a reference book or guide that will help to answer your questions is more valuable than any computer. You don’t need WI-fi for a book and for a homesteader that is the perfect tool to have.